Right in the middle of one of Europe’s most desirable ski areas, Salzburg Airport is a key transport hub for wintersports fans across the world. With direct services to many of the top local resorts and plenty of facilities to help take the stress out of travelling, it’s a popular departure point for many skiers. 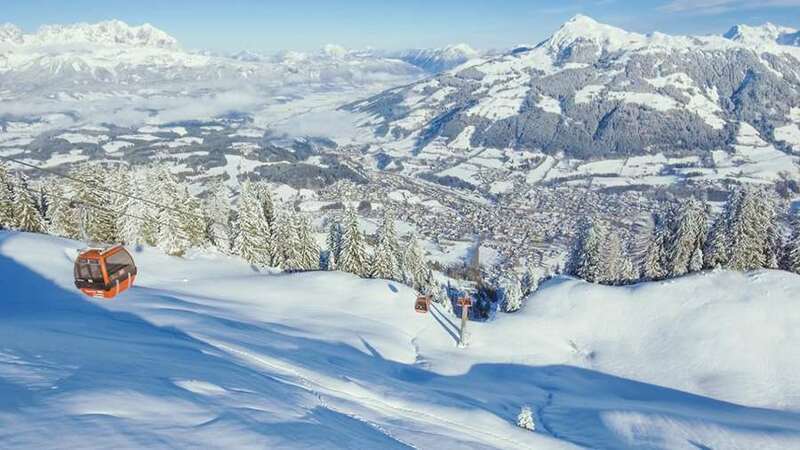 Thanks to the airport’s location, it is close to some of Europe’s leading resorts, including Saalbach-Hinterglemm, Zell am See, Kaprun and Kitzbuhel. Most resorts are only about 1-1 and a half hours away from Salzburg airport. Who flies to Salzburg Airport? There is a wide variety of airlines that operate from Salzburg, including Air Baltic, Air Berlin, British Airways, Easyjet, Jet2, KLM, Monarch, Ryanair, Thomson and Thomas Cook. Ahead of your flight, visitors will want to be able to sit back and relax and, thankfully, Salzburg has plenty of facilities to ensure a smooth journey. Information desks are dotted around the airport to ensure that visitors keep well up to date about their flight, while free Wi-Fi, a visitor’s terrace and a business lounge enable holidaymakers to put their feet up before they jet off. Upon arrival, there are plenty of transfer services to local ski resorts, along with taxis, car hire companies and an abundance of parking spaces. Every good airport needs a good selection of bars and restaurants and Salzburg does not disappoint. Restaurant Jedermann, Marktrestaurant and Salzburger all serve up delicious dishes to keep you energised ahead of your trip, while the Panorama Cafe Panoramastub’n offers amazing views across the airport’s local scenery and a selection of beers, wines and meals. As well as this, the airport coffee shop is the perfect place to warm up before hitting the snow, with a variety of coffees, teas and snacks available.